Trained as an architect at the Technical University of Vienna, Eduard Sekler studied under Rudolf Wittkower at the Warburg Institute in London before graduating there as an architectural historian in 1948. Coming to the States as a Fulbright scholar he joined the faculty of the Harvard GSD in 1956 at the invitation of Josep Lluís Sert. A decade later he became the first director of the Carpenter Art Center, a position which he held for ten years during which time he also founded Harvard’s Visual and Environmental Studies Center and co-authored, with William Curtis, a study entitled Le Corbusier at Work: The Genesis of the Center for Visual Arts (1978). 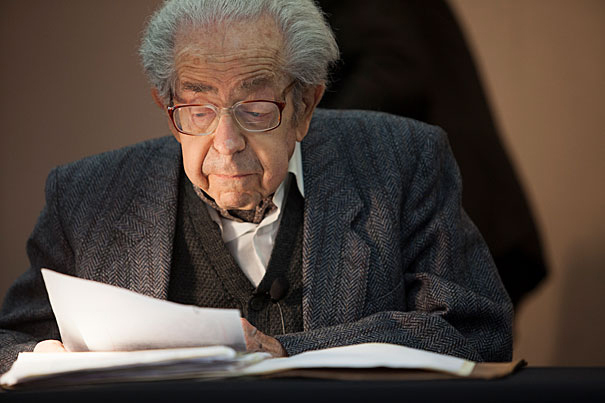 Sekler was active as a scholar over a very wide range, publishing his thesis on Christopher Wren in 1956 and his definitive monograph on the work of Josef Hoffman in 1985. He was one of the first theorists to articulate the difference between structure, construction and tectonics, with this last focusing primarily on the static expressivity of built-form as opposed to formal abstraction as an end in itself. As a researcher and teacher Sekler was also concerned with the “space of public appearance” as this could still be found in historic cities throughout the world and this preoccupation fed into his lifelong concern for the preservation of the Kathmandu Valley in Nepal, a place which he visited virtually every year, throughout his prime. In one, or another, Sekler served the GSD for over half a century and he was a regular visitor there even after his retirement. His loyal presence there will be sorely missed.